Icbrgr on "When You Fall in a Bottomless Pit..."
I think Temple Bell / Howling Mine always sound like a good idea but ultimately become your undoing; especially in a multiplayer game... someone is gonna end up drawing/playing something you cant deal with and or combo off (thats my opinion)... in a 1V1 game it could work with blowing up lands with Sinkhole / Strip Mine and all that kinda fun stuff; and id say go the opposite rout of The Rack / Shrieking Affliction and go with Black Vise / Ebony Owl Netsuke . I suggest Necrogen Mists to keep hands empty and Dakmor Salvage for its synergy with Smallpox / Raven's Crime ... for some protection Ensnaring Bridge can help keep creatures from plowing you over and Pack Rat / Zombie Infestation can be good for getting value from "dead" discard spells.... there is also the queen of 8-Rack herself Liliana of the Veil . At the beginning of the chosen player's upkeep, both copies of Black Vise will trigger. Assuming both abilities resolve, both will take effect. However, I would be very reluctant to say the opponent receives double damage. While, in effect, this will often be the case, there are a number of hypothetical conditions where the damage would be different than double. After an ability resolves, there is a round of priority. So, hypothetically, the first Black Vise ability could resolve (let's say it deals 3 damage), and, while the second is on the stack, the player might cast Opt . This would go on the stack after the still-unresolved Black Vise and thus resolve first, drawing the chosen player a card. 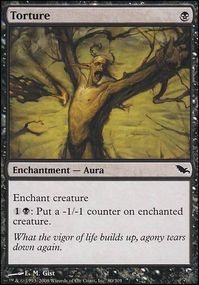 In such a situation, the first Black Vise to resolve dealt the 3 damage mentioned before, and the second would deal 4 damage, resulting in more than double damage. 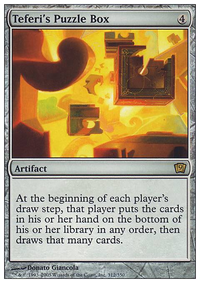 Likewise, the opponent might discard a card, changing the amount the second Black Vise would deal. 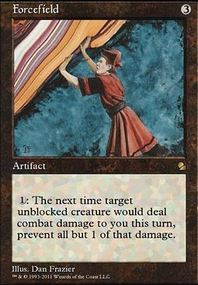 I know that's a bit nitpicky, and you are extremely unlikely to see such a situation occur, but I wanted to be clear, particularly since "double damage" has its own meaning in Magic as a term of art (see Gisela, Blade of Goldnight ). Ah, the memories of old-school battles between mono-red burn vs mono-blue control! 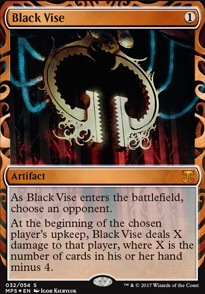 Just one question: why you are using Black Vise in a burn deck? 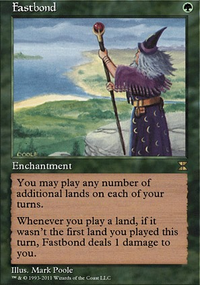 I'm not saying it's bad, but I used to see this artifact played essentially by control decks that did not allow the opponent to cast their cards. I have been pretty happy with the deck performance so far, but I'd like to try a couple of small changes and see how they work out. abandonding for now the side strategy of inflicting damage to opponents for having cards in their hands: I had already took out Black Vise , so I'll be removing also the Sword of War and Peace , as in any case I'm not attacking a lot. 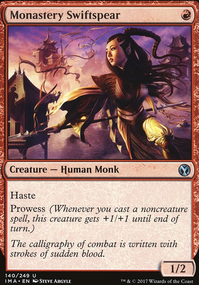 limiting further the possibilities left to opponents to trigger their combos by having Angel of Jubilation preventing them from sacrificing creatures. decreasing the mana cost of my spells: Jace's Sanctum was already reducing of 1 CMC the cost of instants and sorceries, but thanks to Sapphire Medallion and Pearl Medallion now also enchantments, creatures and planeswalkers will be 1 CMC cheaper (further reducing the costs of instant and sorceries as well). 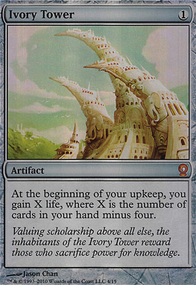 Hmmm... Smallpox looks like a pretty good card, and I might want to try that out. 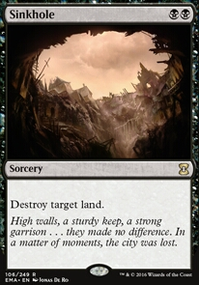 That card seems like it could be good without being strictly a bogles hate card, which would be nice. I recently played a match against a Howling Mine/Black Vise deck, and they used that card against me. It was very powerful, and I should probably try it here.